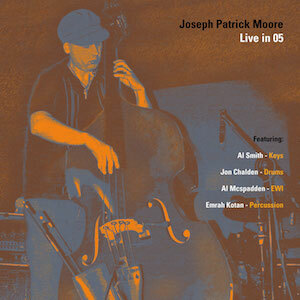 "Live in 05" is a live recording of a show played at This House Rocks in Atlanta, Georgia on April 2, 2005. JPM's band for the evening included Al Smith (keys), Jon Chalden (drums), Al McSpadden (ewi) and Emrah Kotan (perc). This live set features JPM in a series of relaxed jazz-funk improvisations and extended bass workouts supported by a talented and empathetic ensemble.